Hello! 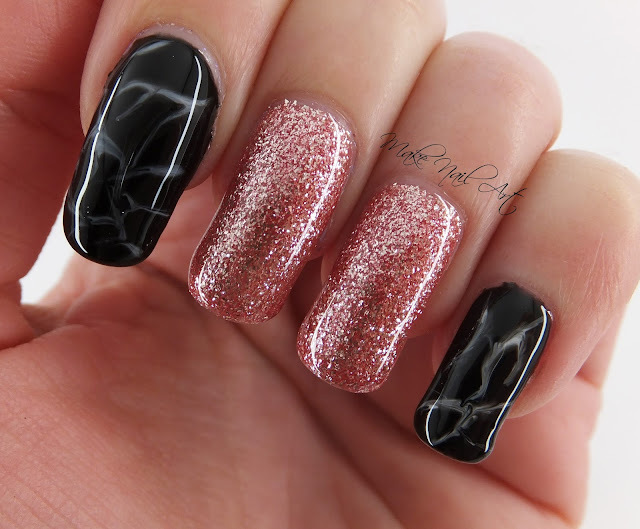 In today's post I'll show you how to create marble effect on your nails using gel polish. You'll need white gel polish and gel top coat for the marble effect. Place a drop of each one on a tin foil and mix them with a thin brush. Apply the second coat of black polish and DON'T cure. Add thin wavy lines and when you're happy with the result cure with the UV lamp. Finish with a gel top coat. Check out the video below for full tutorial. It turns out really elegant marble nail art design. You can even wear it on your prom or any special occasion.